Vatella said she always thought she wanted to be a teacher, but decided to see if anything else felt right. She began her studies at Auburn as a history major, but after one semester, switched to the secondary social science education program. 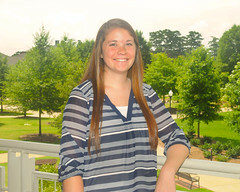 Vatella interned at Auburn High School during her senior year at Auburn University. Previous Auburn students who received the Madison Fellowship are Julie Bryan Payne in 2004 and William Blake Busbin in 2006, both from the secondary social science education program.